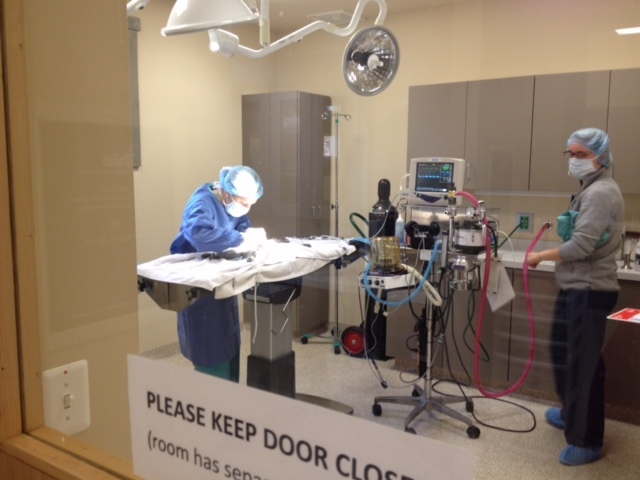 LVH’s Spay and Neuter Surgery Day – Part 2! The first week of November sure was a busy time for the doctors and staff at LVH. On Thursday November 5th, after months of planning, the practice underwent a major IT transformation, as all of our medical and communications software were switched to a more paper-light system. (Sayonara paper files!) One of our goals of becoming a paperless practice is to have superior organization and efficiency, which in turn will allow you and pets to have the best experience possible during your time at the hospital. A big kudos goes out to the entire LVH team for putting in longer hours and extra training (even weekend meetings!) to prepare for the transition. Once the new paper-light system was implemented on Thursday you’d think many of our staff would have used the upcoming weekend to catch up on sleep and take a mental break on their off days. Instead, several of our doctors, technicians, and assistants were back at the hospital early Sunday morning, volunteering their time for a local shelter. Similar to the spay/ neuter day in September for the Humane Society of Washington County, MD, our team gathered together to help 13 animals from the Animal Welfare Society of Jefferson County (West Virginia) get ready for their forever homes. 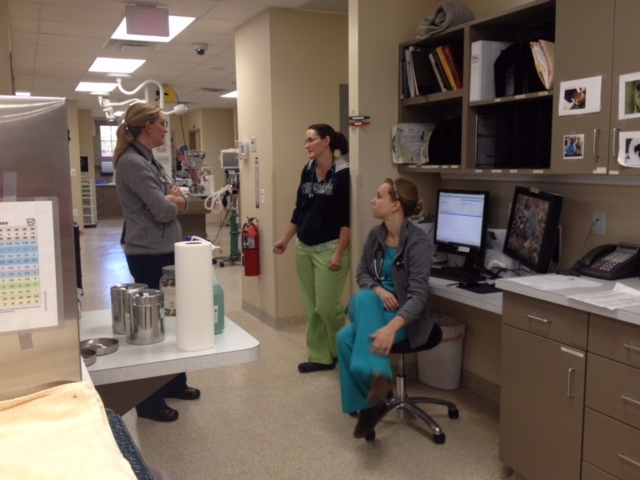 A pre-surgery pep talk between Dr. Doering, Dr. Kloer, and Brittany. 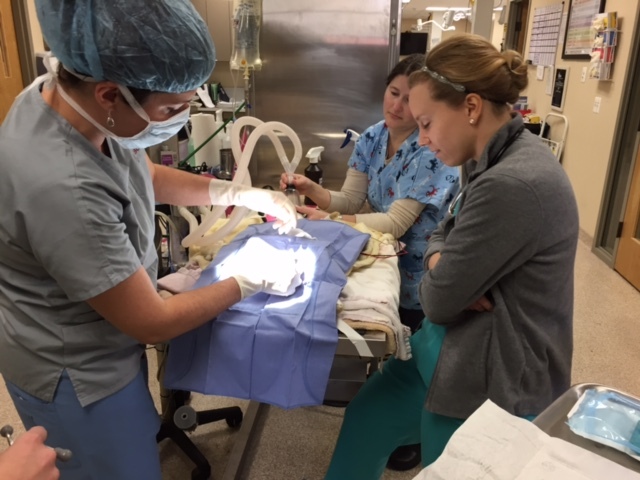 Dr. Doering and Brittany prepare a male kitten for castration. Joanne and Ashleigh place an IV catheter in a kitten in preparation for her spay surgery. Dr. Willkom teaching Brittany how to perform a rabbit castration (Joanne also assisting). 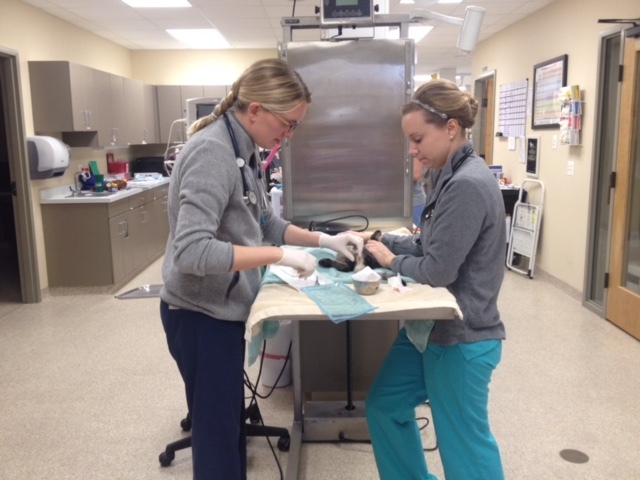 Veterinary extern Brittany, performing a canine spay under the guidance of Dr. Doering. 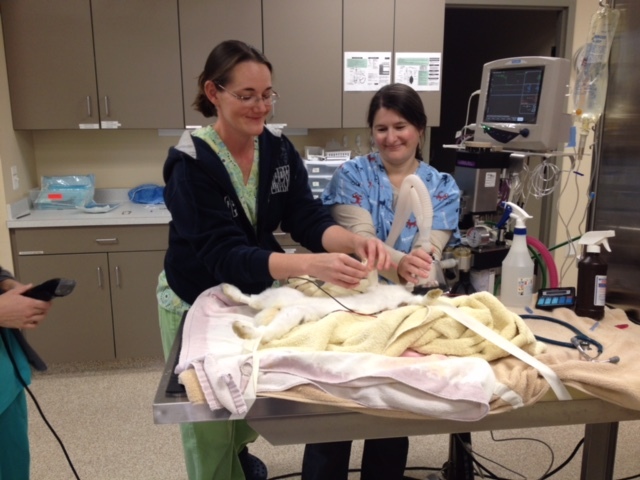 Dr. Kloer prepares a rabbit for castration while Joanne carefully keep the oxygen and anesthetic gas flowing to the patient. 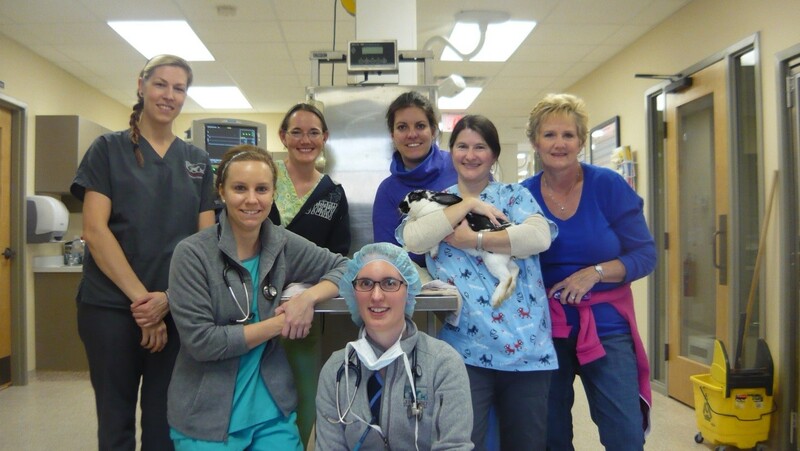 The team (with Joanne holding a recently neutered rabbit)! Nicki is not pictured as she was occupied with post-op patient care in the treatment room. For more information on these animals or other pets up for adoption at AWS, contact the shelter here.